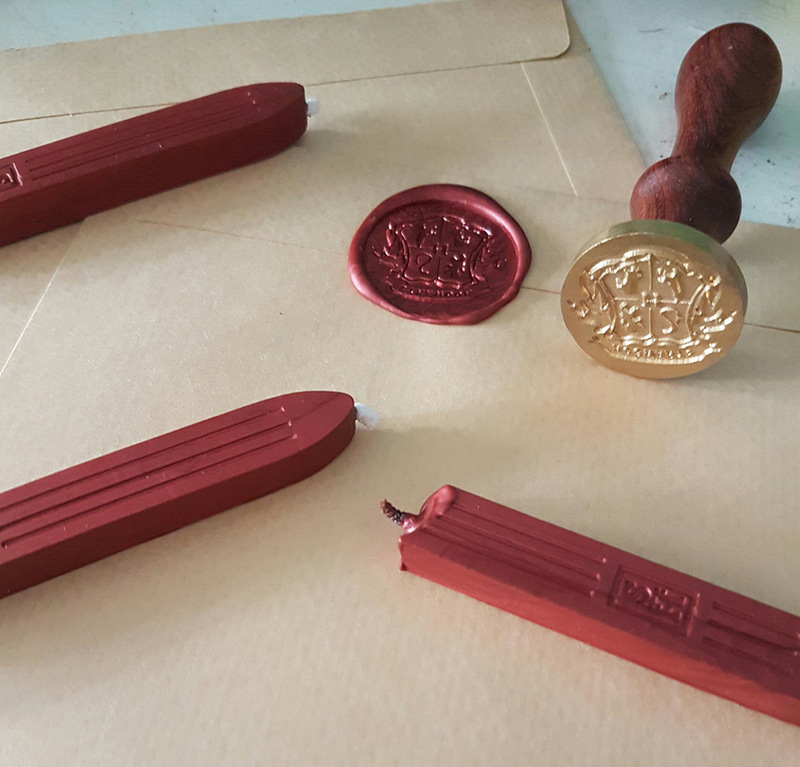 A hoot of an owl prompted me to open my window, and in flew the bird of prey who dropped off an envelope sealed with a Hogwarts imprint that was begging to be opened. Okay, there wasn’t really an owl in flight, but the magical envelope was real. But even before I unsealed and read the letter, I knew something epic was going to happen. True enough, it was an invitation to a gathering of geeks. A meeting of clans. An assembly at the round table. Of several round tables actually, as it was an event to witness the marriage of a couple who have made photo magic for their fellow geeks, through The Art of Mezame. 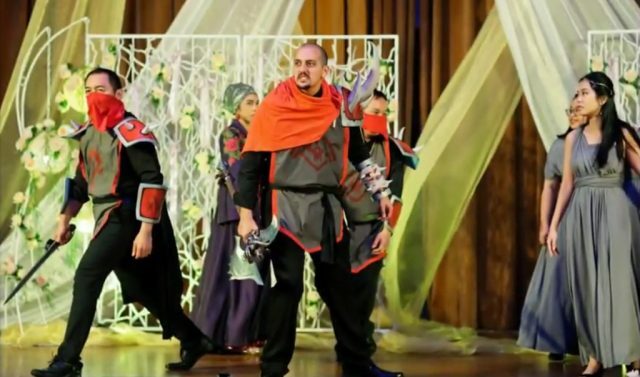 It was the union of Mr Zaki Ahmad and Ms Siti Zahara, who are more well known as Mezame and Mizdesert to the cosplay and creative community here. Even before their marriage was official, Mezame and Mizdesert were inseparable. While Mezame unleashed his creative magic through photography, Mizdesert supported and complemented his creative flair with her makeup skills. 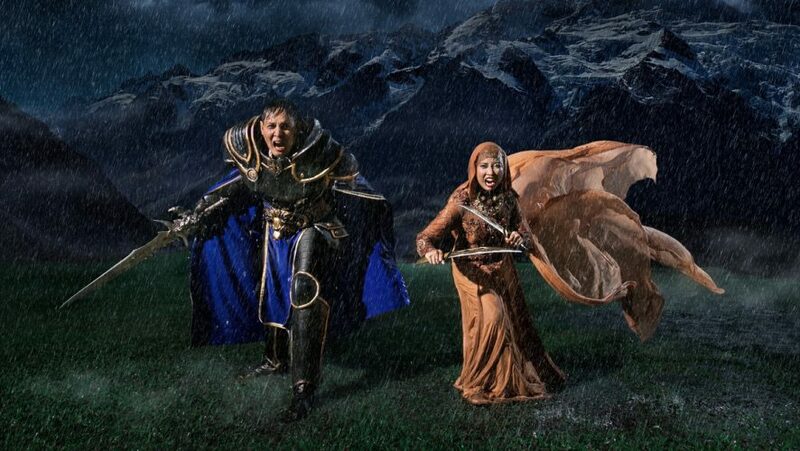 Together, they have embarked on epic projects such as the Diablo III themed and Star Wars themed pre-wedding photoshoots for couples, and even created this amazing Lightning portrait for Rainer Cosplay. Mezame’s masterpieces have been nothing short of amazing, giving regular folks and fans like us a glimpse of how fantasy can turn into reality with his work. 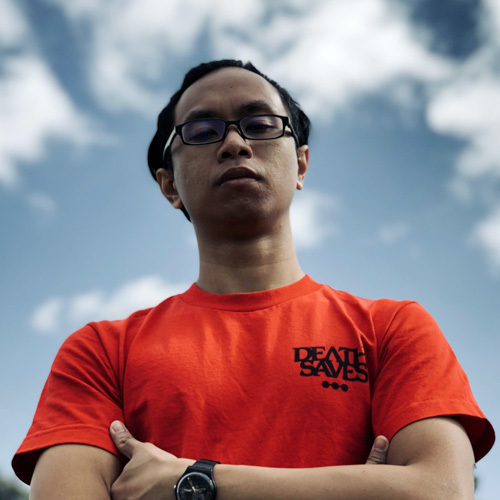 But all that pales in comparison to his greatest achievement, when he proposed to Mizdesert in front of 2,500 people during the Lindsey Stirling concert at Marina Bay Sands in 2015. 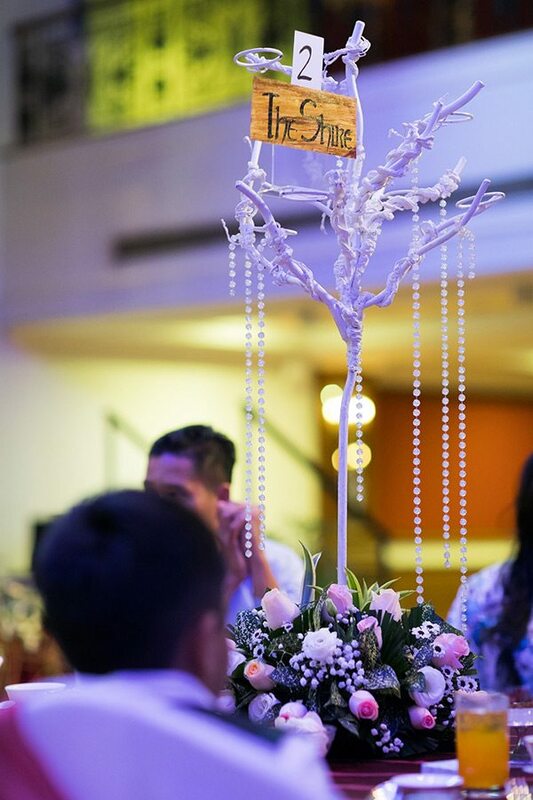 Undoubtedly, the couple had to up the ante and make the actual wedding more memorable than any of the wedding shoots they’ve ever done. And that they did, with a wedding held at the Orchid Country Club’s Grand Ballroom, complete with guests decked out in medieval costumes, while the score from the Harry Potter series played in the background. After much gawking at the throng of cosplayers and appreciating how much effort (not to mention passion) went into this wedding, I recognised that the event and union was as geeky as it could get. Yes, this including a booming voice echoing “THE HOGWARTS SCHOOL IS OPEN! YOU MAY PROCEED!”, to usher excited guests into the hall. As I explored the ballroom, I noticed the dining tables were named after locations in Azeroth and Middle-earth. I chuckled to myself and imagined guests dressed as hobbits seated at the Isengard table. READ ALSO: First Impressions: Mortal Kombat 11 Is Brutal, Unforgiving... And Easy?! 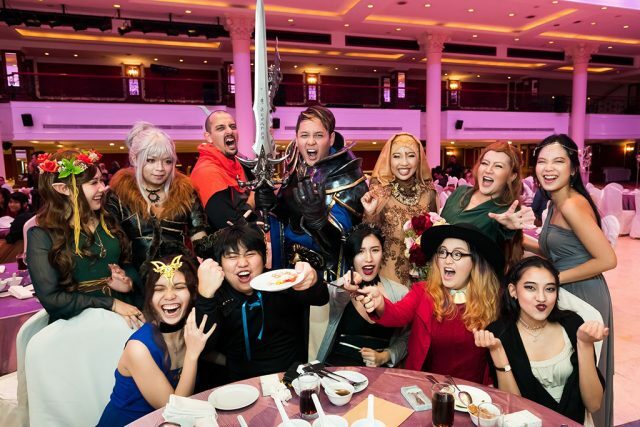 There were familiar faces amongst the guests, some having cosplayed at events such as GameStart Asia. The wedding cake, featuring a knight and priestess as the cake topper, was stunning. 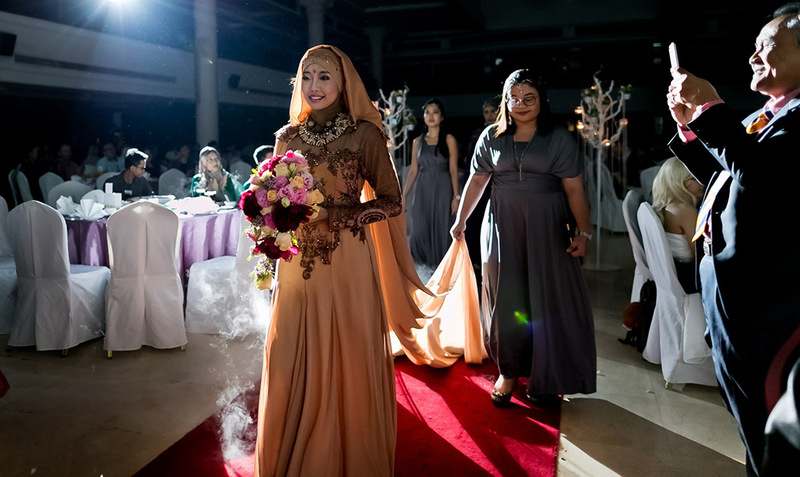 It also goes without saying that it represented the couple’s synergy, as a photographer and makeup artist very well, with one complementing the other in their quest for cosplay creativity. Seeing the real deal, however, truly takes your breath away. Mizdesert, in a splendid cape drape dress that she had a hand in designing, captured the crowd’s attention as she made a grand entrance during the second march-in. Then, there’s Mezame’s best man getting in on the act with a bit of a heckling to ‘disrupt’ the wedding. All this, of course, sets the stage for the man of the hour to make his debut. 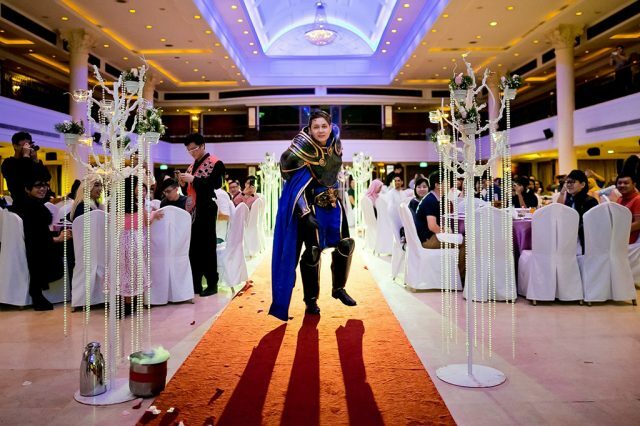 Enter Mezame, costumed up as his own Death Knight character from World of Warcraft. 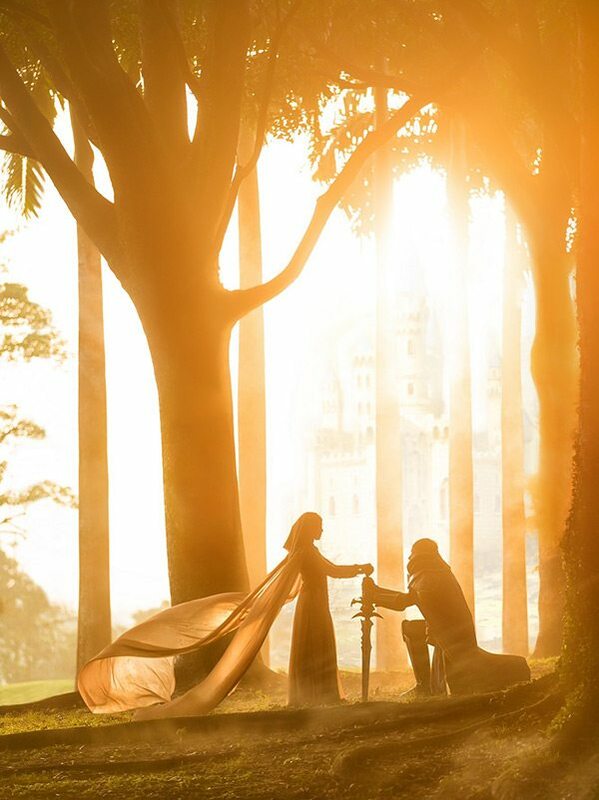 He arrived at the scene with his two guards in a valiant attempt to rescue the damsel in distress. Words can hardly capture the dramatic feels and action of the march-in. Fortunately, there’s a video for that, complete with pop culture references. Take a stab at spotting all the geeky references, to see if you’ve caught all the easter eggs Mezame and Mizdesert planted in the video. The wedding was an epic and joyous occasion, one that reflects the very geek fandom celebrated in the works of Mezame and Mizdesert. 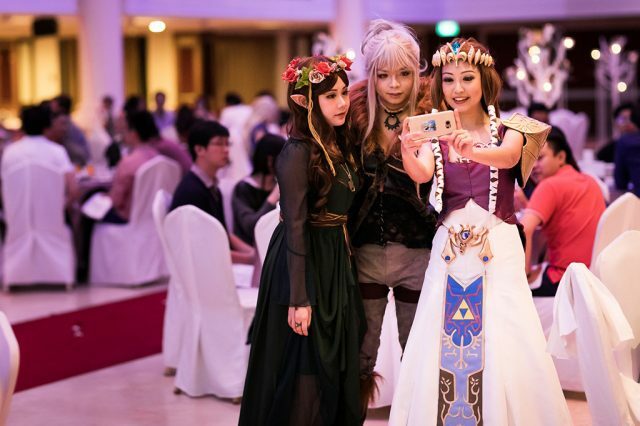 The whole wedding had the atmosphere of a geek convention, ending with a final, parting shot of cosplay guests with the couple. 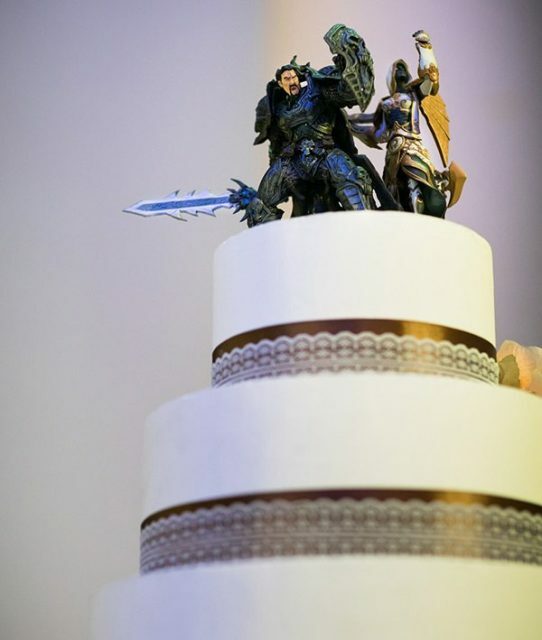 It was definitely a wedding to remember and Geek Culture wishes this couple a happily, epicly ever after. By the way, Kylo Ren made it very clear that we have to send his well wishes from a galaxy far far away to the newlyweds too. 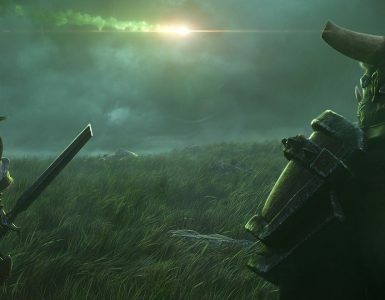 No surprises from Activision Blizzard following a month of rumours. 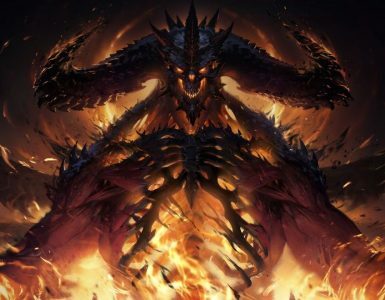 Huge change is coming to Activision Blizzard, and maybe not in a good way. 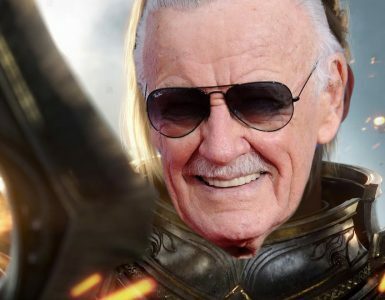 Now you can scream "Excelsior!" together with him in Azeroth.